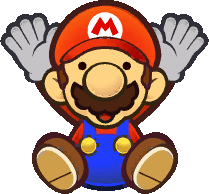 This is a gallery of images for the game Super Paper Mario. Promotional group artwork used in the American and Australian box art. This page was last edited on April 9, 2019, at 18:09.